Review: And was Jerusalem builded here, among these dark Satanic Mills? 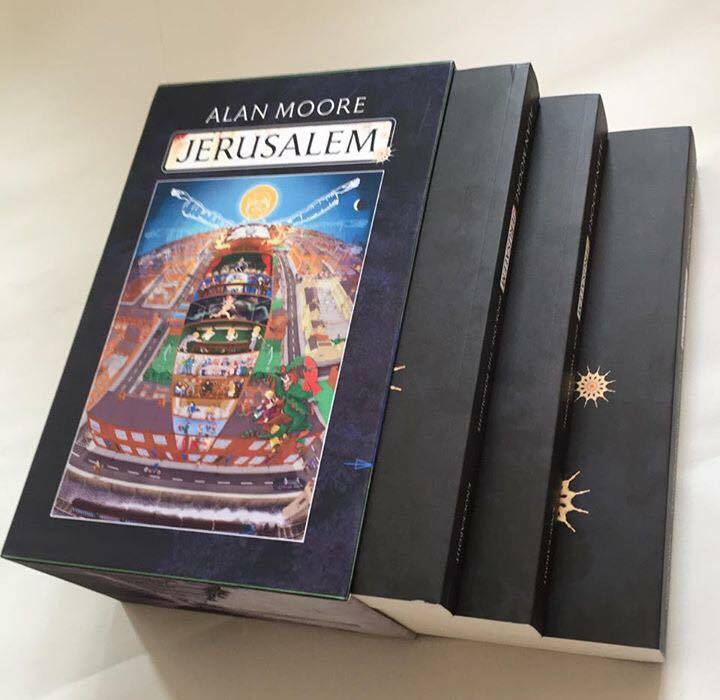 Jerusalem is novel by Alan Moore. I am aware of his work. He is responsible for some seminal graphic novels (Watchmen, V for Vendetta etc). I haven’t read any of them, so I went into this with nothing more than a very interesting blurb which seemed to have some similar themes to my debut novel, Metropolitan Dreams. Knowing how mammoth this book was and how many people struggled with the style, I opted for the audiobook. I listened to the 60 hours, mostly when I was driving and more than once had to feel like I should pull over and stop the car because of the ‘wow’ moments. Overall, I feel this was an excellent choice of format. I took full advantage of the ‘free-trial’ offer on Audible, to read/listen to what would have been a £60 download. The narrator (Simon Vance,) captured the range and eccentricities of the characters brilliantly and I simply have no idea how he managed to achieve what he did. To say it’s not a conventional novel would be an understatement. I’ve read big books before, but this was very different in sense of the world and scale. The original draft was rumoured to be one million words. Most estimates have it at somewhere in the 600K region. Spiky artists with talon-fingers, drunk downtrodden poets, prostitutes that are doomed from the moment they are born, homeless sleepers who steal to survive, homeless children that freeze to death. Angels who control/build/destroy/protect/neglect, malevolent biblical demons who seek redemption. African Americans who flee their home to ride rickety rope-wheeled bikes in a seemingly forgotten English city. Playful pyromaniac Salamanders who raze streets and jig in smouldering neighbourhoods. Monks who carry crosses from the bloody, holy ground of Golgotha. Isaac Newton and the gravity of more than gravity and how he might be responsible for capitalism and the disparity between rich and poor. It is amazing grace and Amazing Grace. It is told through the eyes of dozens of characters. It has style that ranges from literary descriptive, to poetry, short fiction to drunken tombola-wordage. It lives in the gutter and flies beyond the mathematical chimney-pots, it dances in the black and white world of flick-book ghosts hovering above the living. It plays children’s adventures in the Attics of the Breath. It is a world controlled by snooker and angelic beings that allow violence and pain. It is your eternity played out like a never-ending reread of a two dimensional big red book of This is Your Life, but without the genial host. It is the birth of saints in world of commercialism, apathy and suicide bombers. It is noir private detectives and criminals who can’t help themselves. It is insane language and nods to literary heavyweights. A world of asylums, mental illness, trauma, unspeakable crimes, a child in purgatory for hundreds of pages. It is the shiny pearls around Princess Diana’s neck and the rotting dead rabbit necklace of a ghost child. It is the Churchill family, Cromwell, civil war, a half-square mile of uprising and insurgency. It is a horrific incinerator tower and King Solomon’s Temple, loss and eternity, predestination and choice, it is as small as the quantum realm and as inconceivable in scope as the end of a seemingly infinite universe. It is the mundane and the spectacular. It is the start of everything and the ending of nothing. The search for meaning and finding nothing but more questions. It is the feeling of community and hulking black shadows and invisible historical choices that destroy it. It is two-fingers up to the political establishment. It is a hymn of rebellion and a war cry for the dispossessed. The Boroughs – And Spring Lane – you’ll get to know both like you lived there. It is your rambling grandparent, telling the same long-winded tales, you’ve heard a thousand times before, each time the details slightly different, each time embellished. Each time you feel you have something better to do. But it is the inescapable feeling that you know you’ll miss them so dearly when they’re gone. It looks so closely at Northampton that almost every atom is described. Yet it sits above time, space, life and death. It is long, far, far too long. Yet not long enough. It made me cry with laughter, with its beauty, with its wonderful woven tapestry of pitiful yet heroic lives. It made me almost howl in painful frustration. It is so beautiful and yet so unwieldy. It is sprawling incoherence. It takes advantage of you, plays you for a fool and yet smothers you in splendour and intelligence. It pokes fun at itself and yet hints at answers that combine science, philosophy and religion. Will it please everyone? No. Will some think it’s the worst book ever written? Probably. 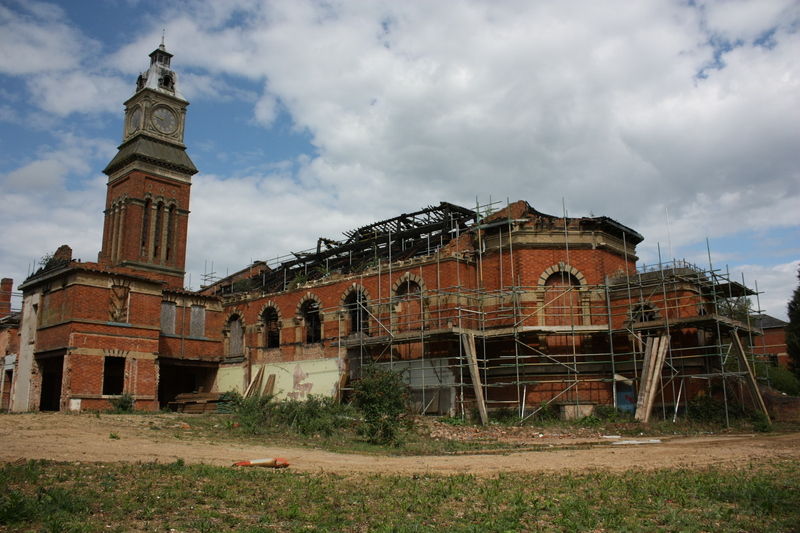 Could it radically change how you look at books, towns and lives? It could. Is it a modern masterpiece? It will divide opinion. For me, yes. For others, they’ll want to forget they ever touched it. By time I finished it, I started to think it would have been better cut by almost a third. But how can you do that? The lives we live and those of our loved ones are interspersed with the business of life and occasional moments of sparkle. We wouldn’t deny those moments just because they are not the highlights. The glitter here is so bright that to moan about many hours of wasted reading time between the blinding light seems like the highest ingratitude. The greatest artwork divides opinion. True artwork is sometimes easy to see, it demands attention. Other times, it is complex, layered and challenging. The best artwork sits above its form and somehow calls to us from a place that his beyond the physical. For me, Jerusalem did this, and this is the highest praise I can give Moore. Holy Sepulchre, Northampton. This features a fair bit in the book. 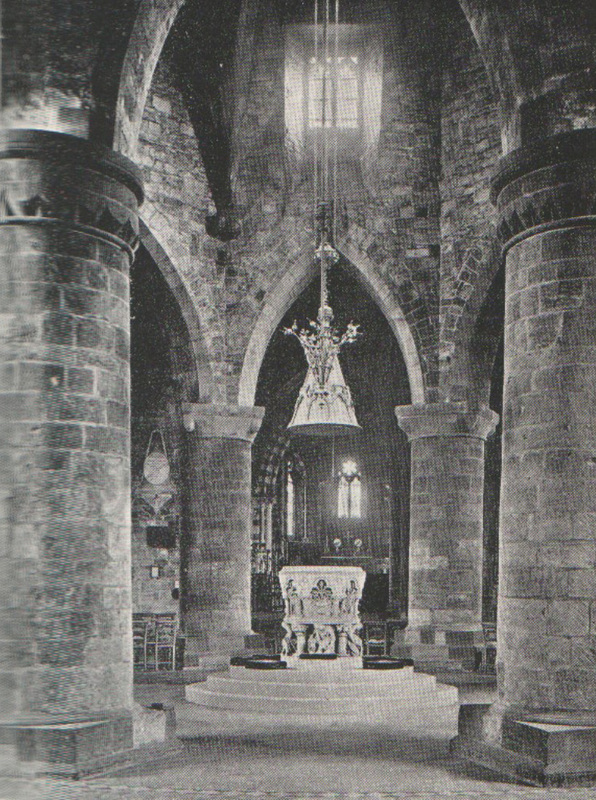 Is that an angel I see hovering above the Baptismal font?